Home/Check out 46 Aviation Designed Leather Jackets! Italian hand-made leather jackets. Designed by Pilots… for Pilots. A combination of Italian style and practicality. There is also an option for custom hand painted design. 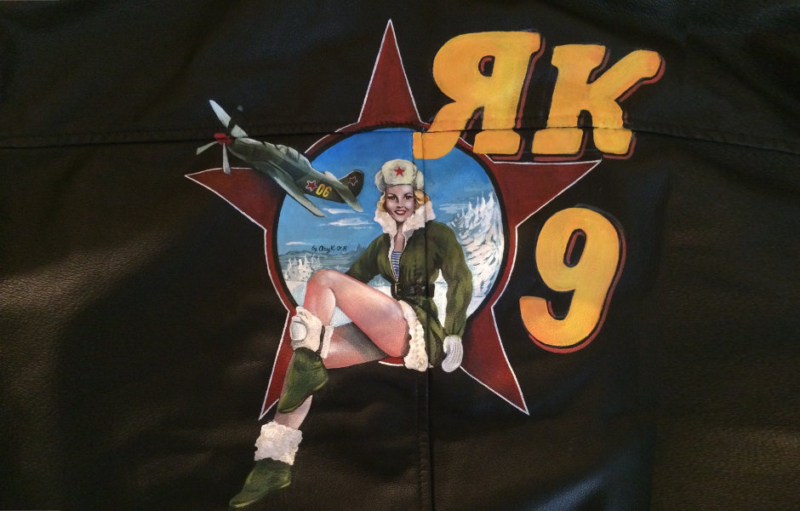 This is Emiliano’s Pin-up jacket to match 46 Aviation’s Yak 9.